Salmon mousse with pickled cucumber - home cooked food delivered. 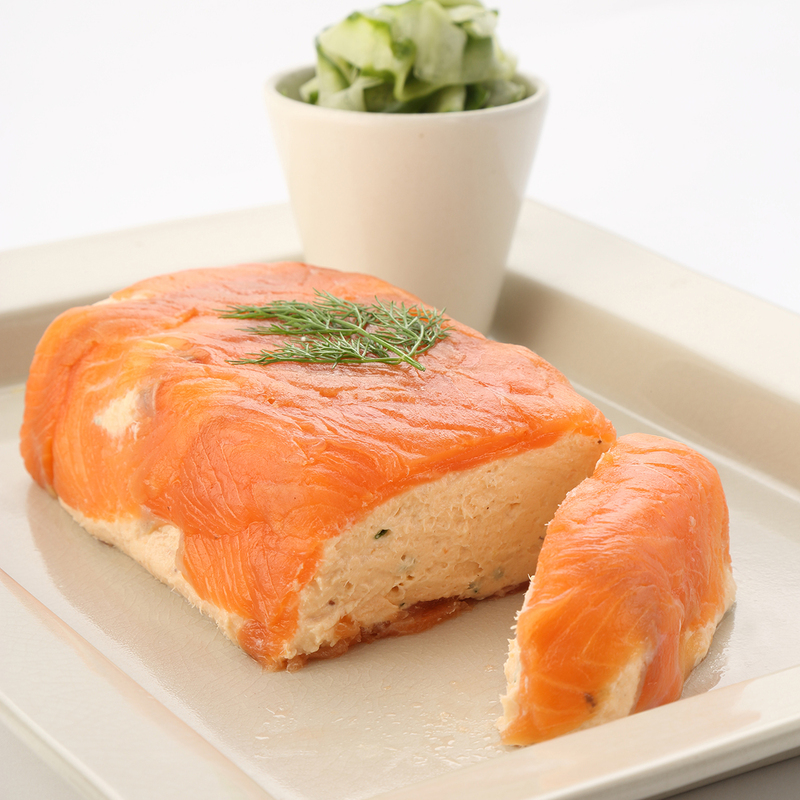 Smooth, creamy and luxurious, this most suave of starters will make every salmon fan’s wildest dreams come true. A decadent fresh salmon mousse beyond compare, lovingly wrapped in… yes, the very finest smoked salmon. Simply wonderful with our refreshing pickled cucumber accompaniment. Fresh salmon (FISH), cream cheese (MILK), juice and zest of lemon, extra virgin olive oil, seasoning, smoked salmon (FISH), cucumber, fresh dill, rice vinegar, peppercorns, coriander seeds, caster sugar. Best sliced and served at room temperature for a great starter or put on a tray with crackers for a stunning canapé.